Do You Need a Nevada Probate Attorney? As with all good legal answers, “It depends.” It depends upon your level of knowledge of Nevada probate law, filing procedures, time requirements, etc. It also depends upon your tolerance for frustration and delays. The vast majority of people decide that they simply don’t have the expertise nor do they want the headache of dealing with the legal requirements of probate. Just being the personal representative of the estate is plenty of work in and of itself. without adding the job of learning how to find your way through the probate maze. This is particularly true if you’ve just lost a loved one. It is stressful enough to deal with the emotions of such a loss. The last thing you need at a time like that is to be struggling with the ins and outs of probate. This is where experienced counsel makes a difference. You may have heard the analogy of not hiring a plumber to perform your heart surgery, or similar analogy. I’ve always found that analogy rather silly. A better analogy would be not hiring a dermatologist to perform the heart surgery. While the dermatologist is also a doctor and may be very experienced in her field of practice, it obviously doesn’t mean she should practice outside her field of expertise. The same applies to the legal field. While we practice in the areas of probate, estate planning, and closely related areas, we would not practice divorce or criminal defense law. In order to have the best experience possible, you want an experienced Las Vegas attorney to remove the headache of dealing with the probate court. 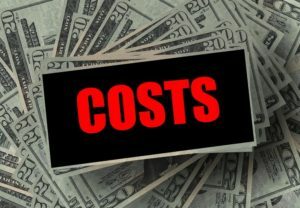 But in order to engage a probate attorney in Las Vegas, what will it cost? Or attorney fees may be based upon an hourly rate. On an hourly basis, you never really know what the fees will be until the end. But, depending upon the complexity of the assets involved and the estate generally, using an hourly rate may make more sense. Have our team of qualified probate professionals guide you through the probate maze, call us at (702) 984-4110 for a free consultation.